Chinese Image Medicine (CIM) is a modern, innovative approach within Traditional Chinese Medicine (TCM) tracing its roots to TCM’s oldest school, the school of Bien Que. 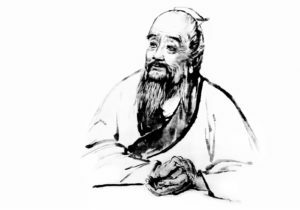 The great Chinese doctor Bien Que (407-310 BCE) founded this school in ancient times, and professor Xu Mingtang, head of Beijing Medical Research Institute “Kundawell”, created the modern branch, outlining its methodology of diagnosis and treatment, making it easy to learn and accessible to a wide range of population. Image Medicine is called Yi Xiang Yi Xue (意象医学) in Chinese, where Yi (意) means mind or consciousness, Xiang (象) – picture or image, and Yi Xue (医学) – medicine. The name refers to the ability of human consciousness to receive and create images, which can be used to assess and improve various health conditions. CIM uses this “image thinking” to trace the cause of disease and find the optimal treatment and prevention methods. Each living cell, organ and organism is surrounded by a biofield that our brain can instantaneously perceive as internal image. CIM employs special training methods to develop the fine senses: improve sensitivity of hands and body and gain the ability of inner vision. This inner vision is further applied to see internal images of body parts having issues – be it on physical, energetical or informational level. Even if the cause of disease is external, it can be seen as an image. The advantage of this approach is that it treats human being as a whole, without disregarding any of Life’s aspects. For instance, Western medicine deals mostly with physical substance and does not take into account the energy component. 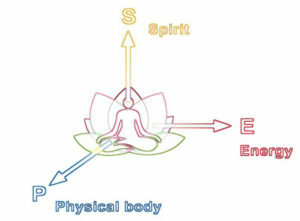 TCM is based solely on energy and does not take into account informational or spiritual component. CIM has diagnosis and treatment methods for all three of those aspects: it works with physical body, energy and spirit together, providing result where other systems can’t. By changing the image of disease CIM treatment changes the information, which then regulates the body on energy and physical levels. When the information is correct and the body has enough good energy, the natural healing process is triggered and self-recovery is quick. The goal of CIM treatment is to find and eliminate the root cause of the problem, not just manage the symptoms. Since every person is unique, each client’s treatment plan is individual. With more than 25 years of clinical work in different countries across the globe CIM shows to be the most effective in dealing with such issues as chronic bronchitis, asthma, chronic prostatitis, chronic nephritis, herniated discs, fibroids, ovarian cysts, female and male infertility, chronic digestive tract issues, Crohn's disease, various eye issues, high blood pressure, recovery from heart attack and more. CIM treatment has no side effects, can detect issues on early stages and is easily combined with other treatment methods. It’s quickly gaining popularity in China, Europe and countries of former Soviet Union. More on treatment results and testimonials.